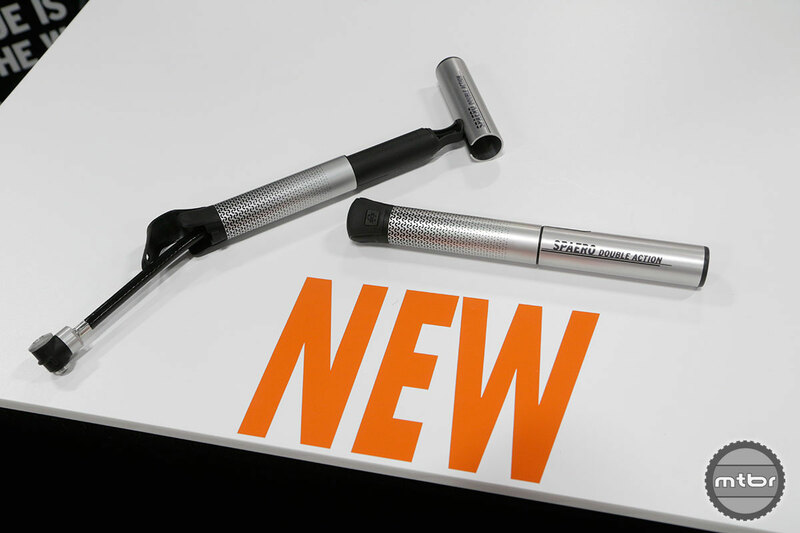 SKS Germany‘s new 2015 product line includes XL versions of their X-tra Dry and Shockboard fenders, a new Armenius Floor Pump, Airboy Mini Pump series, and a dual-action hybrid Spaero pump. SKS Germany’s U.S. 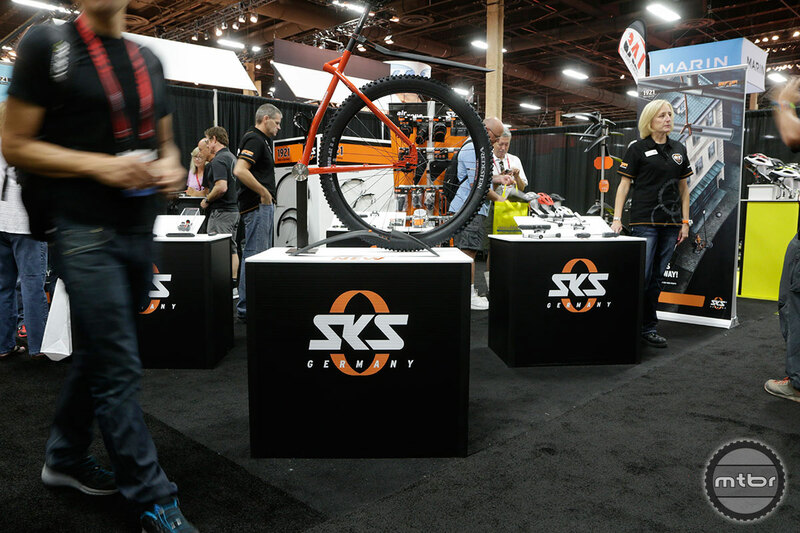 Sales Manager Crystal Trout was on-hand at Interbike 2014 to introduce us to SKS’s 2015 fender and inflation lines. 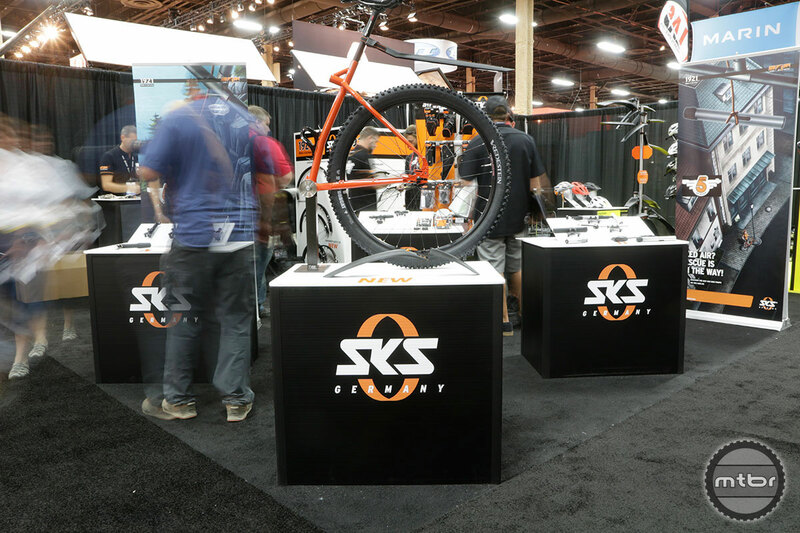 Trout tells us the new XL versions of the Shockboard and X-tra Dry fenders were designed to accommodate the increasing demand for 29”, 29”+ and fat bike fenders. Both fenders feature quick-release mechanisms, 700c compatibility, and are built extra wide for fat tire coverage. The X-tra Dry XL rear fender is a cam-style fender with angle-adjustment capabilities while the Shockboard XL fender offers 3” of tire clearance up front. The new Airchecker air gauge can accurately read down to pressures as low as 2 PSI, in half-PSI increments. 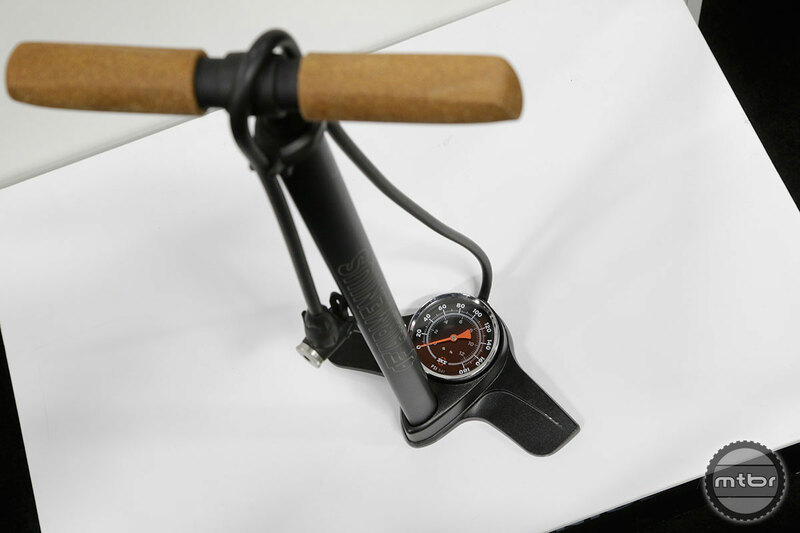 Presta or Schrader compatible and featuring a swivel head, the Airchecker provides instant pressure readings on the valve. MSRP for the Airchecker is $25. 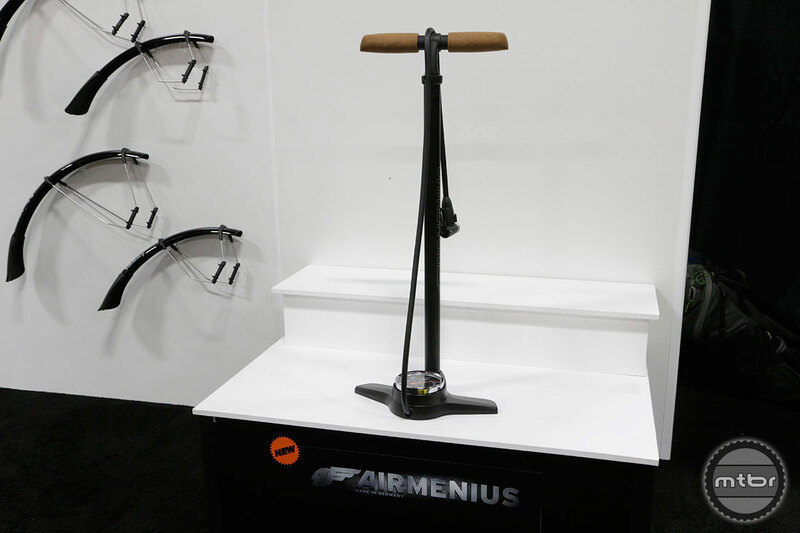 An extra long body on the Airmenius floor pump allows for a high volume per stroke ratio. Featuring an EVA head that is compatible with Presta or Schrader valve stems, the Airmenius measures pressure in 2 PSI increments on an extra-large gauge. Cork-covered handles and a solid aluminum base complete the pump. MSRP is $125 for the Airmenius floor pump. 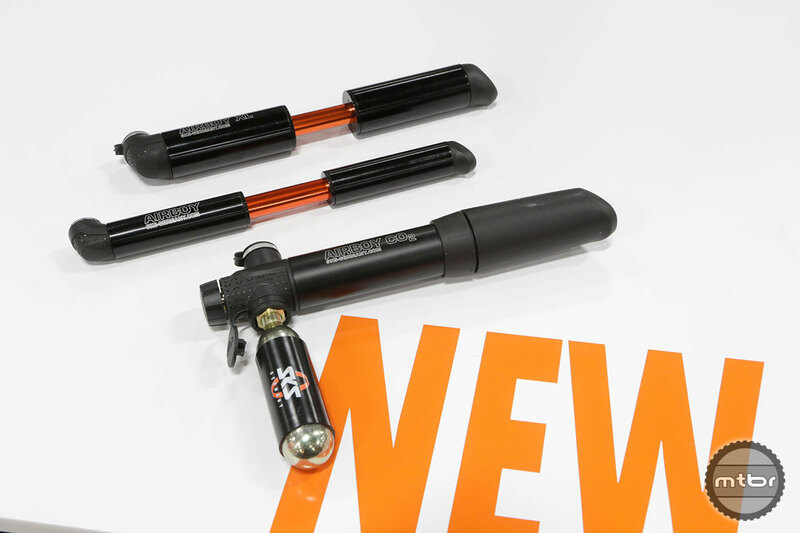 New for 2015 the Airboy mini-pumps are compact, lightweight pumps offered in road and mountain bike-specific versions. The road bike version is Presta-only and pumps to high pressures while the mountain bike version features reversible Presta/Schrader compatibility and pumps to just 73PSI, but offers more pump volume per stroke. A dual-chamber, dual-plunger system in both pumps allows air to move on both sides, ensuring no wasted effort. Both pumps ship with a mount and retail for $30. An Airboy CO2 system that combines a CO2 canister and a pump into one $40 package completes the line. The Spaero dual-action hybrid pump offers the features of a floor pump in a mini-pump size. A removable T-handle detaches from the body and reattaches to the pump head for greater pumping force. The head of the pump can then placed on the ground for an additional point of leverage. The pump also features an extendable hose to protect your valve stem from push/pull damage. 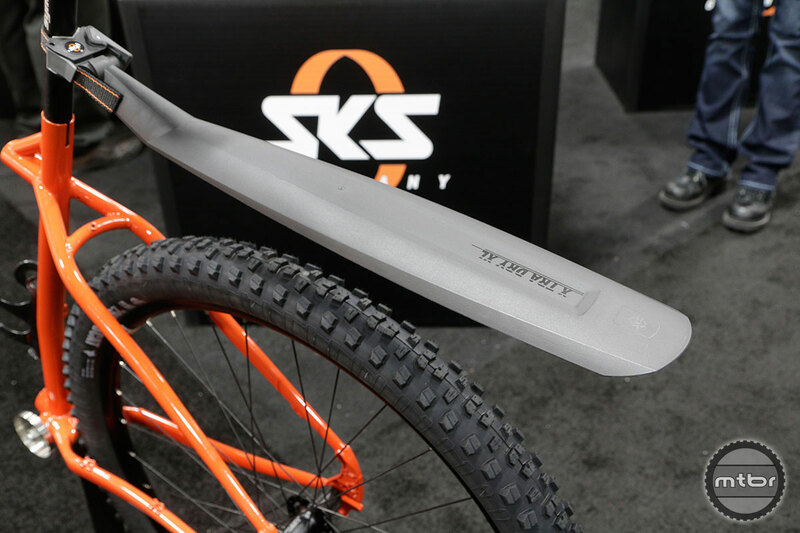 The SKS X-tra Dry XL Fender is 80mm longer & 10mm wider than the standard X-Tra Dry fender and is designed with 29-er and fatter 700c coverage in mind. The slide-off body becomes a T-handle on the new Spaero Double Action Pump, aiming to offer the features of a floor pump in the size of a mini. 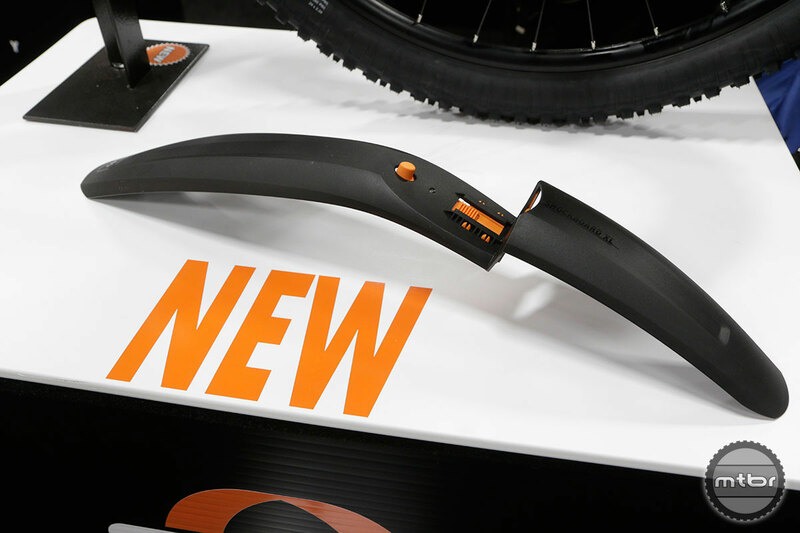 60mm longer than the standard Shockboard, the new Shockboard XL Fender features an inner fork tube QR mount., while a special adaptor (sold separately) allows for compatibility with Headshok and rigid forks. The SKS Airboy Mini Pump Family includes the Airboy, Airboy XL and Airboy CO2. The new Airmenius Floor Pump features a cork covered handle, 4" gauge, 230 maximum pressure PSI and a large metal base. The cork covered handle on the Airmenius pump is designed to provide extra grip. 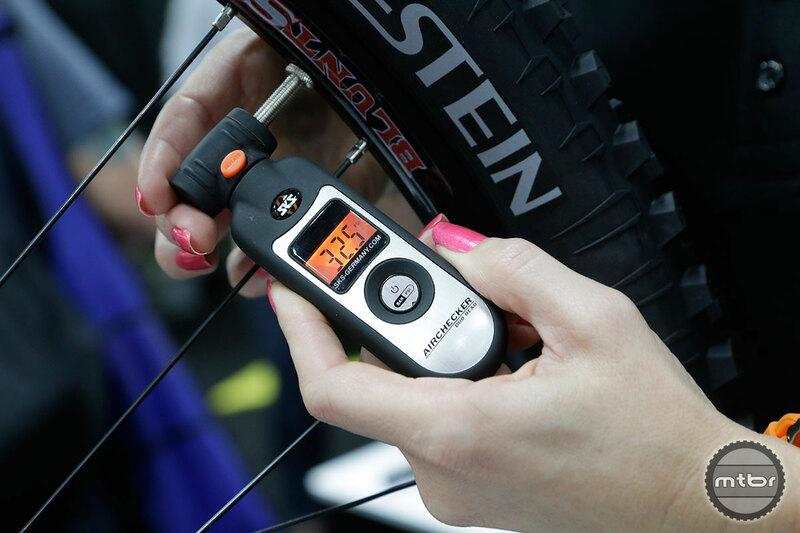 The Airchecker Digital Pressure Gauge, with a backlit display, swivel head and pressure readouts in bar or PSI on both Presta and Schrader valve connections.